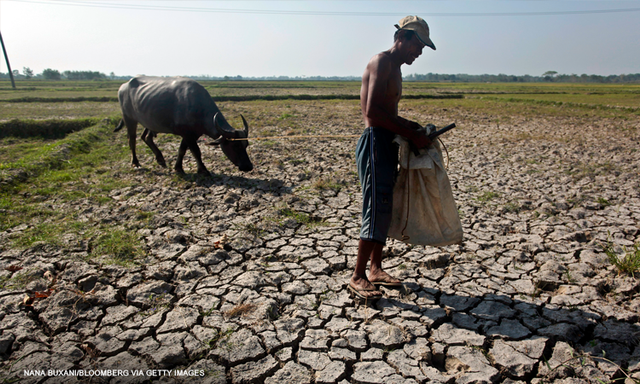 MANILA -- Officials of the National Economic and Development Authority (NEDA) on Friday downplayed the inflationary and economic impacts of weak El Niño as the government implements a roadmap to address the effects of the prolonged dry spell. Socioeconomic Planning Secretary and NEDA Director General Ernesto Pernia said economic managers are maintaining the government’s inflation target range of 2 to 4 percent for the year despite the El Niño. “I think we can be confident that we can stay within the target range of two to four percent… Maybe if there will be some impact on inflation, then it will still be below four percent,” he said in a press briefing. Pernia pointed out that the implementation of the rice tariffication law is “really very timely” in mitigating its impact. “The thing about inflation is that rice is a problem when there is a domestic shortage and if there is a problem in the timing of import. This time, the timing of imports will be right on the dot because importers are adept at responding to the perceptible shortages. They are better at estimating when it is profitable and when it is not,” he said. The NEDA chief estimated the agriculture sector’s contribution to the country’s gross domestic product (GDP) at 8 to 9 percent in gross value added (GVA). Carlos Bernardo Abad Santos, NEDA Assistant Secretary for Planning and Policy, noted the contribution of the agriculture sector to the economy is “small” compared with industry and service sectors. “So overall, it might not be that substantial,” he said, referring to the possible economic impact of El Niño phenomenon estimated at -0.2 percentage points. Abad Santos said the 6 to 7-percent GDP revised target of the Development Budget Coordinating Committee (DBCC) for this year already assumed a weak El Niño. “However, depending on the response that we have, with these response in terms of mitigation, that might be even less of a negative impact,” he added. NEDA Undersecretary for Regional Development Adoracion Navarro said based on reports to the National Disaster Risk Reduction and Management Council (NDRRMC), total damage brought by the weak El Niño to agriculture reached PHP2.68 billion as of March 27 this year. Citing the outlook of weather bureau PAGASA, Navarro said the number of areas with potential for dry condition, dry spell and drought from April 2019 to June 2019 are expected to reach 98. Navarro said the inter-agency El Niño Task Force (ENTF) led by NEDA has been reactivated to revisit the Roadmap for Addressing the Impact of El Niño (RAIN), which aims to ease its impacts in four critical areas--food security, energy security, health, and safety. She pointed out the task force would revisit the roadmap, which was formulated in 2015 during the last El Niño occurrence, to include water security among the areas of concern.